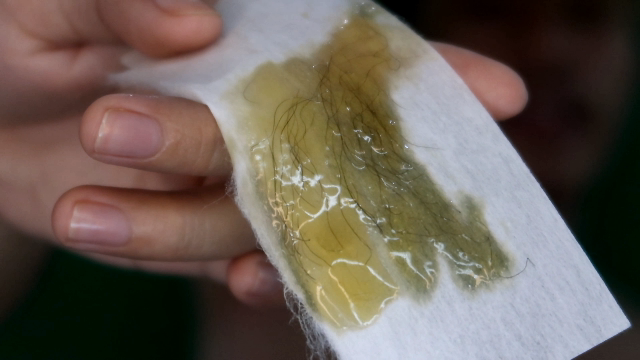 So, you're here because you want to know how to make a soft wax or hard wax hair remover. We have different ways to do this, it depends on you if you want to follow my way of making wax but you can make your own version. Pour the lime juice and water to dissolve the sugar then mix until it becomes liquid. Pour into a cooking pot and boil for 7 to 10 minutes or until the mixture becomes caramelized. Stir occasionally. Put the wax into a clean container and let it cool for 10 to 20 minutes. Use a spoon, spatula or popsicle stick to apply to your unwanted hair. Put a wax paper on top of your underarms. Remove with your hand by pulling the paper suddenly into opposite direction then watch that hair come off. Then you're done. I hope it helps!